Our stock collection and delivery service is available through our central warehouse situated at unit 6 Cherry Orchard Industrial estate Dublin 10. Tel: 01 9121850. We specialise in house clearances, furniture and stock collection. A simple phone call or email will book your slot for pick up. 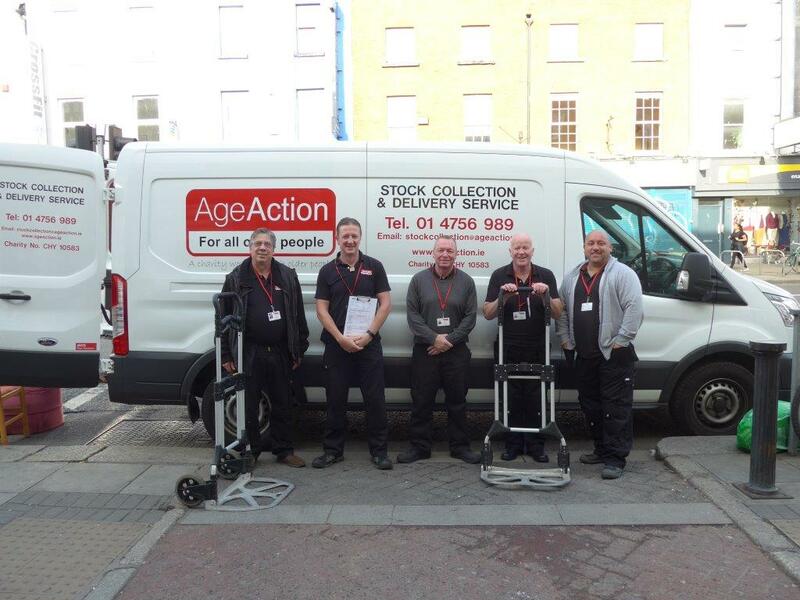 Providing your items are re-usable and in a sale worthy condition we welcome all and every donation made to us here at Age Action. This service is vital to our organisation and drives the revenue in our 7 retail units across the country.